Would You Drive A Citroen DS Through The Sahara? For a long time, it was unquestionably the most technologically advanced car in the world, an incredibly complicated luxury cruiser. So naturally it went rallying. Racing cars have to be light. Rally cars have to be simple and tough. These are universally excepted truths. Then, every once in a while, a car comes along that throws these presumptions out the window. The Mercedes-Benz 300 SEL 6.3 (or "Red Pig") certainly disproved the low weight idea. 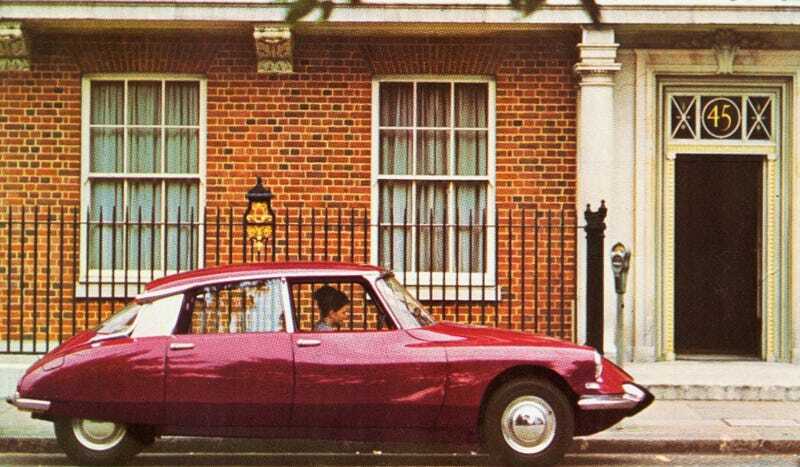 And the Citroen DS is far from simple, though it proved itself to be tough enough for rallying. The DS won the Monte Carlo Rally in 1959 and 1966, and its trophy shelf is filled with other victories and countless finishes. The DS is made with real bits of goddess, so you know it's good. That does pose a problem, however, when it comes to durability and maintenance. So does the hydropnuematic suspension, which allows it to fly across rough surfaces at breakneck speeds. Few true Jalops would turn down a DS, but are you adventurous enough to take it on an old Paris-Dakar route? To the comments you go.